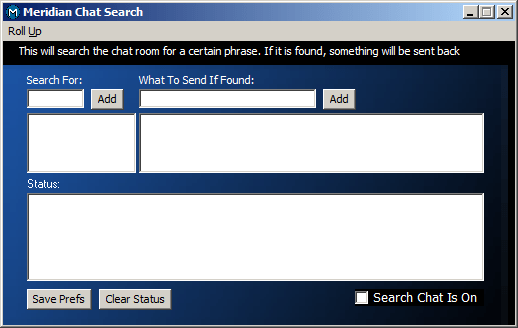 Revolution, an add-on tool for the America Online software, was my first major programming endeavor. 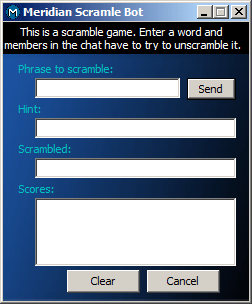 It taught me the fundamentals of prorgamming and how to use the Windows API to interact with the AOL client. However, because I was learning along the way the project became somewhat of an unorganized, chaotic mess. I wanted to continue working on it, but decided that I’d be much better off taking the lessons I learned developing Revolution and starting a new project. 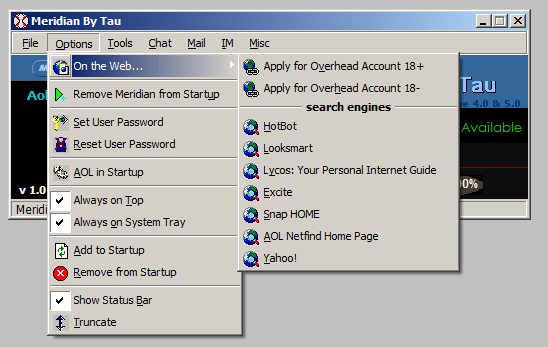 At the time there was a plethora of AOL tools (or progs) as we called them, and my goal for this new project was to create a product that would triumph over all of them. The name I eventually settled on was Meridian, which my friend John suggested after seeing a bottle of wine one day while we were waiting in line at the deli in our local Publix supermarket. I started on the project in about March 1999 and worked on it heavily through around January 2000. When I was done I remember thinking that I would never again invest as much time in a single project as I just had with Meridian, which total more than 7,400 lines of code. Ironically, it’s been more than 9 years since then and I can safely say that I’ve spent more time on five projects since then (AOL-Files, PAWN, PokerShark, Eve, and Domain Pigeon — more on the middle three soon). 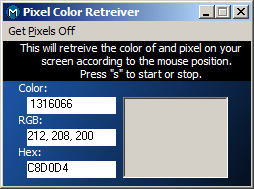 This was the main window that users saw when they loaded the program. The thing that pops out is the millennium countdown–remember this was back in 1999/2000. 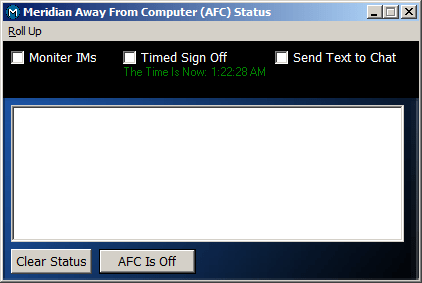 The blue to black bar at the bottom was a measure of how fast AOL was working that day. It tested how long it took to download aol.com and then compared that to the fasted time it’s ever downloaded it in. 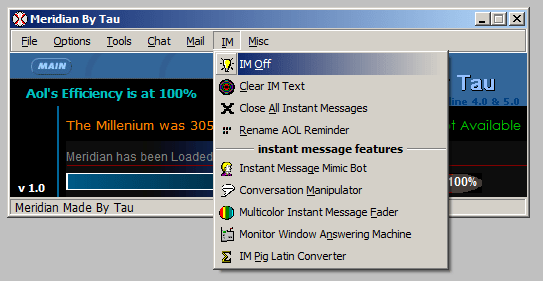 So if once it took 2 seconds to download the aol.com and now it took 4 second (remember 56K modems? ), you’d be at 50% efficiency. I think AOL is now on version 9 or something like that which is kind of surprising given how frequently they rolled them out back then. Or not surprising, given their loss or market dominance in the last decade. Sixteen letter screen names were new at the time so I guess it was important to state that. Yeah, bro. And eggs… yeah… no idea. The mind blowing thing about this is not the stupid features but the search engine list. 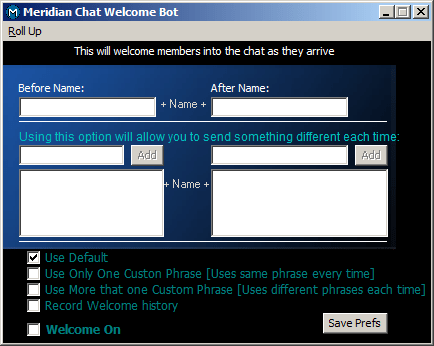 HotBot? Looksmart? (I thought Looksmart was so good back in the day). And most of all: no Google. This was actually really useful. 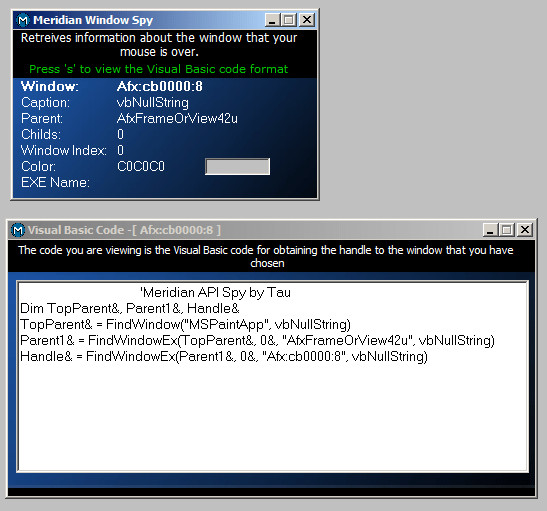 You hovered over a window and Meridian would tell you about it and generate the VB code to dynamically identify it. 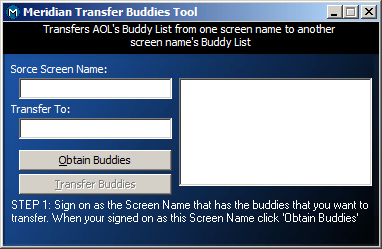 If you had a large buddy list it was difficult to transfer them to a new screen name because it had to be done manually. This automated the process it. 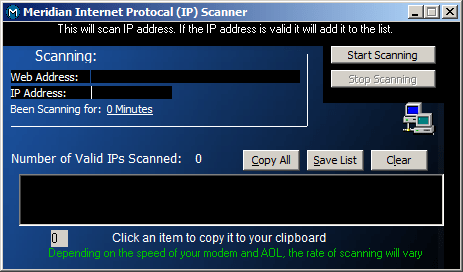 This tool scanned a range of IP addresses and logged their corresponding DNS equivalents. Not sure what this had to do with AOL. 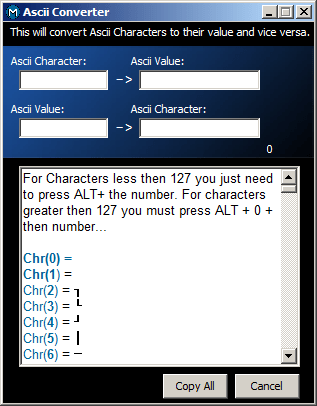 This was a common tool that AOL programmers wrote much like URL shorteners seem to be with web developers today. 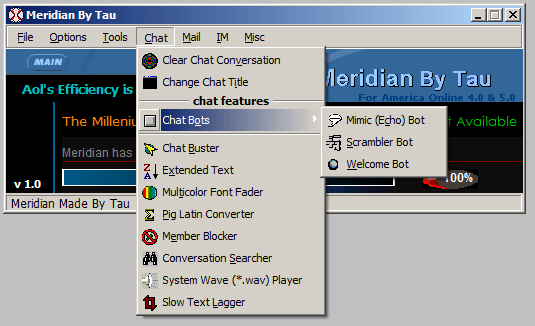 Whenever a person entered a chat room you’d have the software automatically greet them like “hey whats up StupidSN432?” I must have written about six different versions of this over the years. 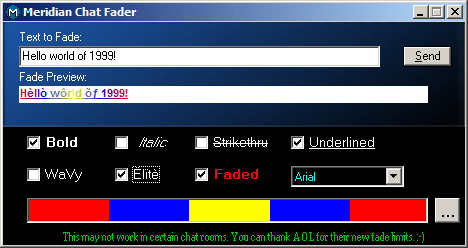 You were limited to a certain number of characters when talking in a chat room. 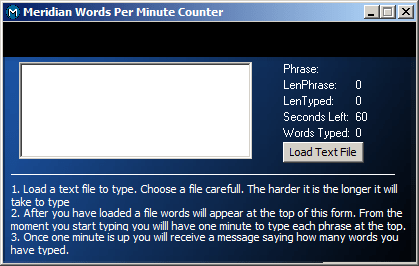 This tool let you write as much as you wanted by breaking up the text into segments and automatically sending each one to the chat. 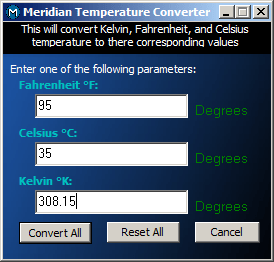 I think this was just another one of those this-is-interesting-though-no-one-will-ever-use-it features like the Temperature Convter. If someone said a word like “matt” I could send back “yeah whats up?”. Exciting. 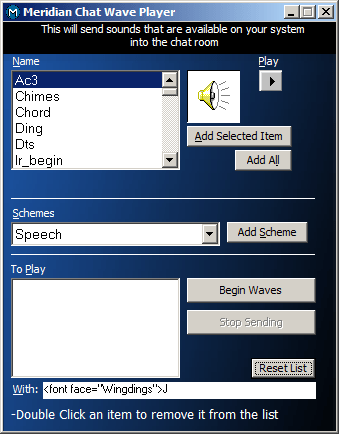 By sending a special code to the chat you could cause a person’s computer to play certain tones. 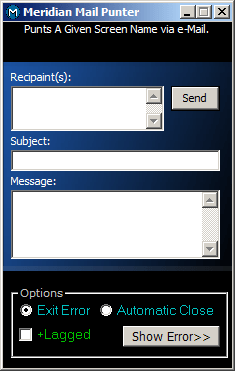 By inserting dozens of HTML tags into your chat submissions you could temporarily freeze everyone’s computer. 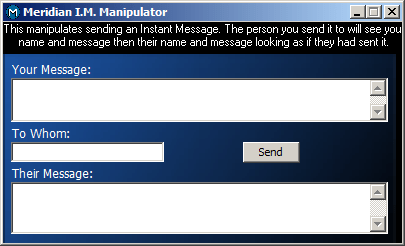 This let you craft a message so that it appeared that the other person had said something that he hadn’t. 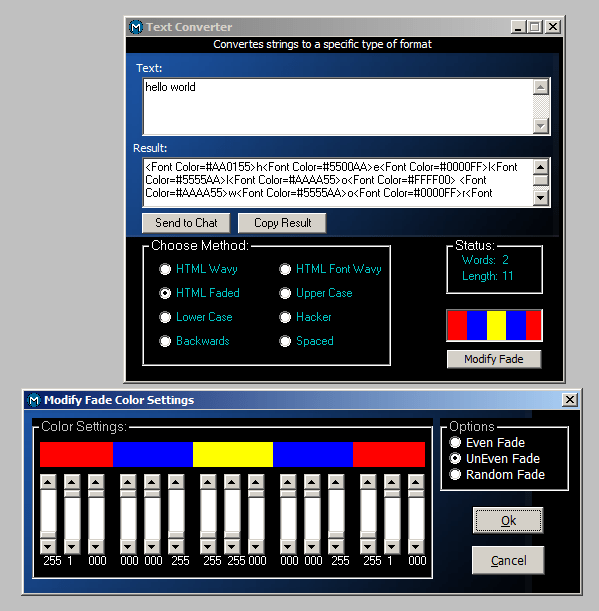 This tool enabled you to kick people offline by sending them a malformed email. 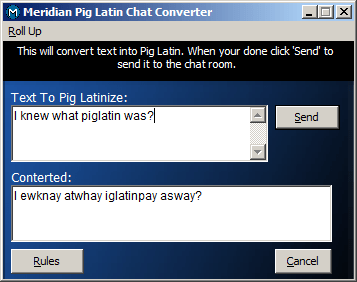 When I finished with the development I released Meridian to about a dozen people who volunteered to test it. I remember it vividly because I was so excited and was so confident that it would take the AOL hacker scene by storm (again, see ALL IN Expert lessons learned). Well, as it turns out, my computer was infected with some sort of nasty worm. 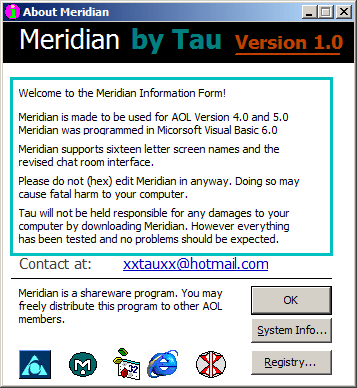 When Visual Basic generated the executable files for Meridian, the worm infected all of them too. 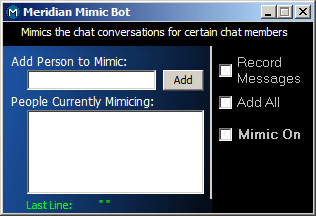 So when I sent it out for testing, everyone’s anti-virus software started going haywire, screaming that the program they were trying to run, my poor Meridian, was a virus. I was so frustrated with this turn of events that I simply stopped working on it. In retrospect, I should have invested in some better anti-virus software, rid my computer of the worm, and redistributed it to community to get more feedback. I told myself that I didn’t want to risk infecting anyone else’s computer. The truth, as I would later discover after years of introspection, is a bit more complicated. This work-finish-forget sequence has been a consistent theme since I began programming. I spend months–and years in some cases–working on a project with incredibly optimistic projections about its post-launch success. But as soon as I was satisfied with the product and released it, I quickly grew restless and moved on to something else. ALL IN Expert was the most recent example of this. I’ve tried to do better with Domain Pigeon and think I have, but I still struggle with the follow through. Happiness for me is in the pursuit, not the catch. But that’s a story for another day. Yeah, I enjoyed going through it all–good times.